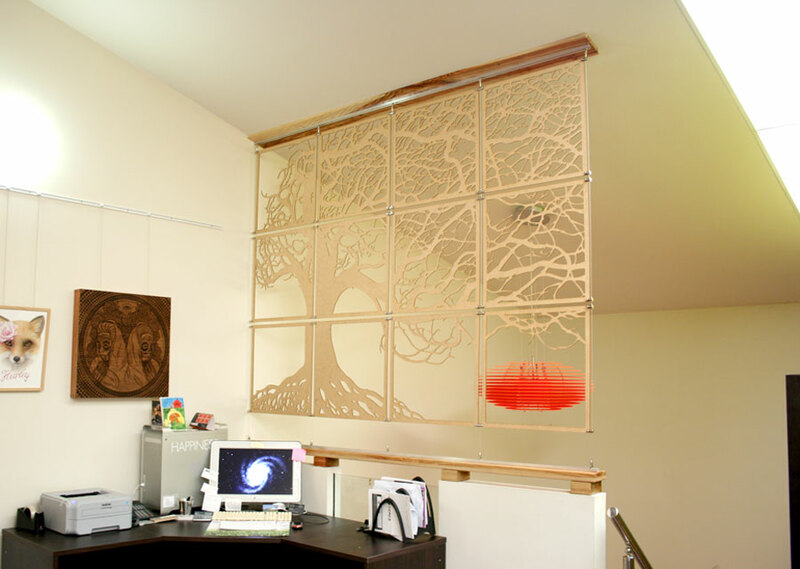 Today we put up our Laser Cut Mosaic Screen in our mezzanine studio. We got our Joiner, Rex Casson from Naramaa Joinery, to make a rail for the top and bottom anchor points. 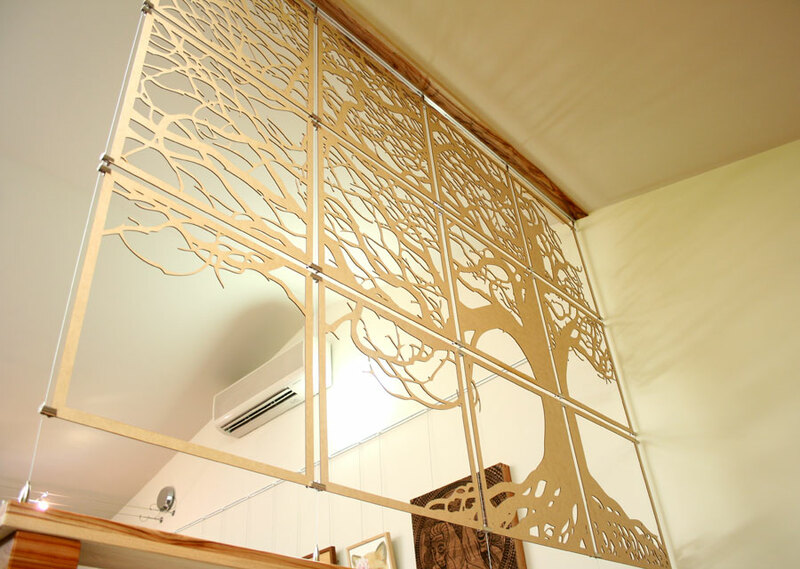 He used a beautiful old piece of Camphor Laurel he had at his factory. 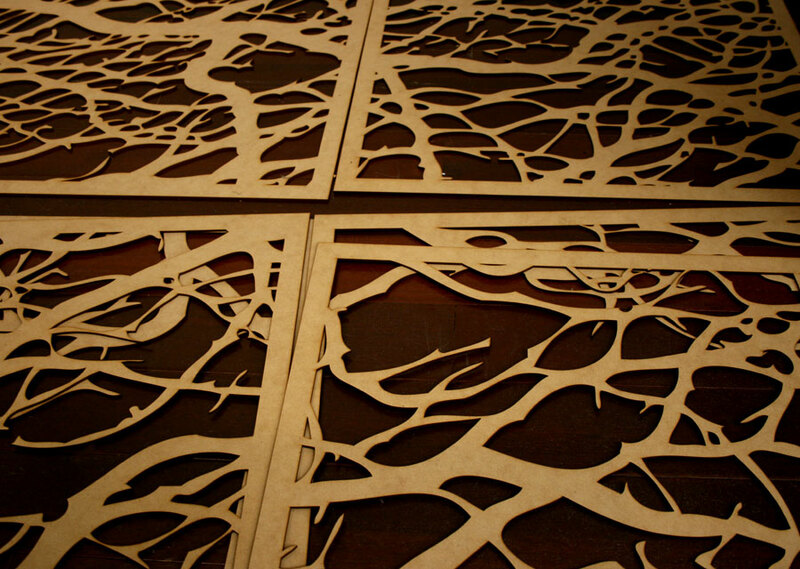 The panels themselves are Laser Cut from 3mm MDF Board. 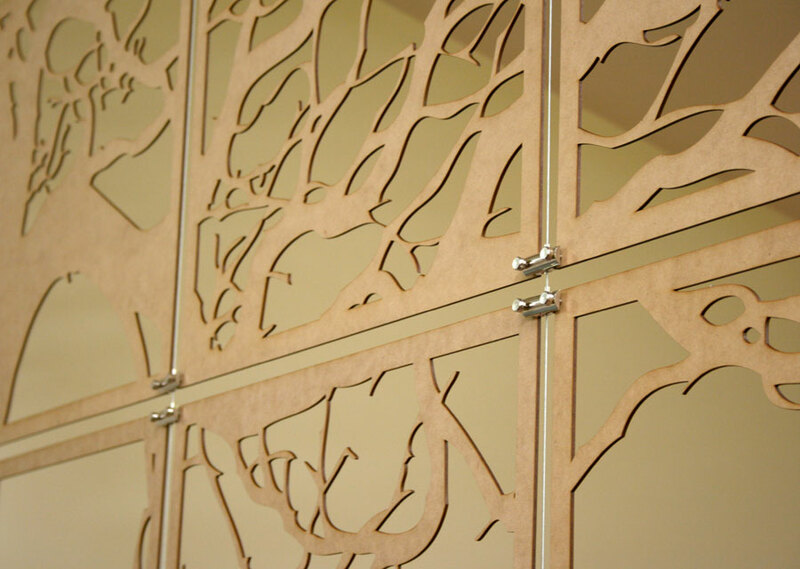 We used MDF because it is nice and cheap and the Laser loves cutting it. 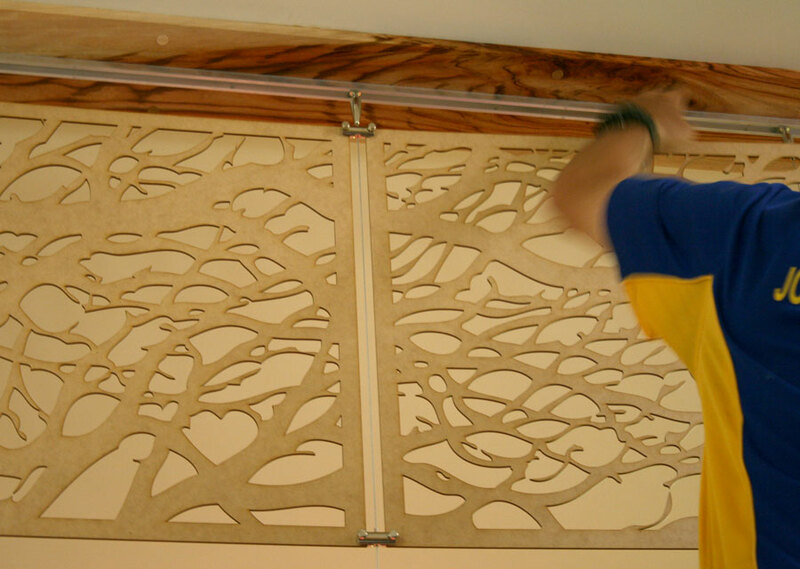 We used a rail system with stainless steel wires and clamps to hold the panels in place. We intend to change the image every few months, so the rail system gives us the flexibility to switch the size and the amount of panels used. It turned out great! The best thing is, you can see it from both upstairs in the studio and downstairs in the front reception. Drop by and check it out!